Whatever his rea$ons, it meant we got another game for our list of the best RPGs on PC. Elsewhere, the Russian writer behind the Metro series of books, Dmitry Glukhovsky, completely understands the power of videogames. Glukhovsky thinks they can tell meaningful stories, and he’s completely aware of how much they have helped along his post-apocalyptic universe, which itself began as a self-published piece of fiction on the internet, until 4A Games came along with an interest in adapting it for a videogame. Original Story March 24, 2017: The creator of The Witcher, Andrzej Sapkowski, doesn’t have much love for videogames. When CD Projekt Red came knocking at his door with an offer of money in exchange for licensing, he took it, but it wasn’t out of a passion for the medium. “Well they brought a big bag of money,” Sapkowski told Eurogamer in an interview. “What I expect from an adaptation: a big bag of money. That is all. Sapkowski viewed videogames as “stupid” and he didn’t think CD Projekt’s adaptation would amount to much. He was even offered a share of the profits, which would have netted him a lot of money over the years, but he turned the offer down. And what a success it was. 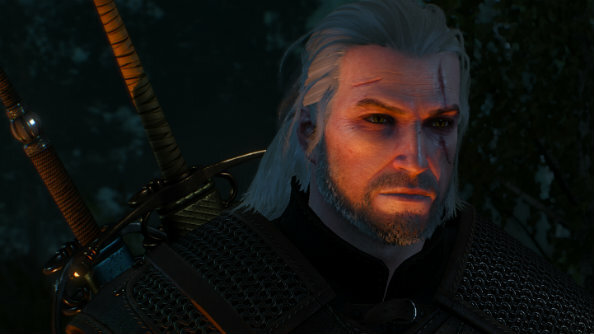 In fact, it got to the point where, outside of Poland, The Witcher was more well-known as a series of games. Additionally, English publishers altered book blurbs and art to match the games. “It was f***ing bad for me,” commented Sapkowski. Read the full interview at Eurogamer.